Craig Johnson is the author of 11 novels in the Walt Longmire mystery series, which has garnered popular and critical acclaim. The Cold Dish was a Dilys Award finalist and the French edition won Le Prix du Polar Nouvel Observateur/Bibliobs. Death Without Company, the Wyoming Historical Association’s Book of the Year, won France’s Le Prix 813, and Kindness Goes Unpunished, the third in the series, has also been published in France. Another Man’s Moccasins was the Western Writers of America’s Spur Award Winner and the Mountains & Plains Book of the Year, and The Dark Horse, the fifth in the series, was a Publishers Weekly Best Book of the Year. Junkyard Dogs won The Watson Award for a mystery novel with the best sidekick and Hell Is Empty as well as As the Crow Flies (the eighth in the series) were New York Times bestsellers. All are available from Penguin. 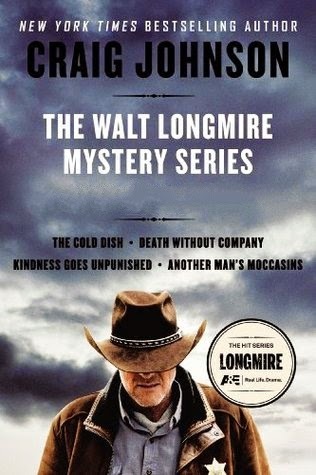 Craig Johnson’s Walt Longmire novels have now been adapted for television in the hit series Longmire on A&E. Johnson lives in Ucross, Wyoming, population twenty-five.